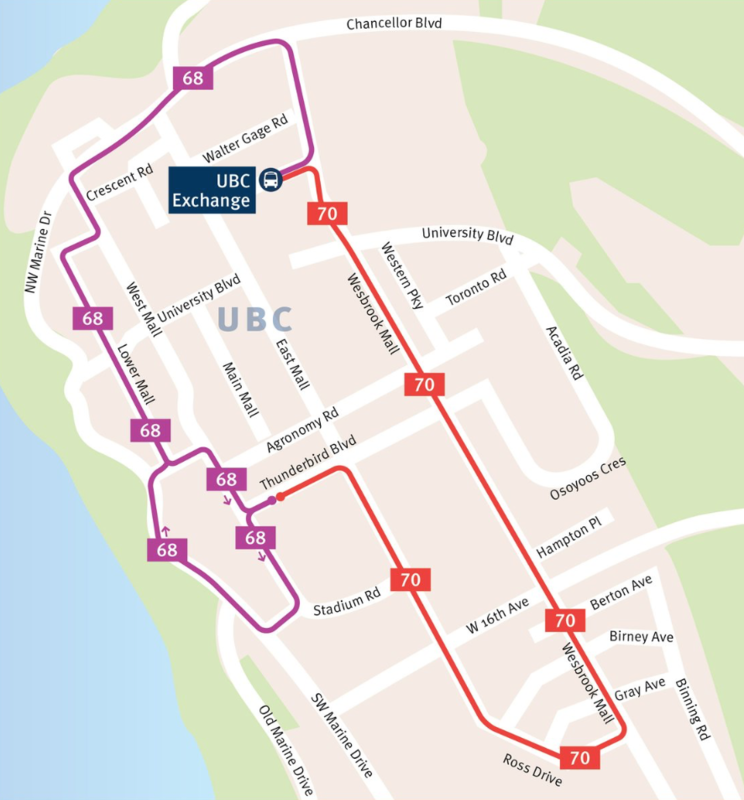 68 UBC Exchange/Lower Mall – replaces the northern part of the C18 and C20 (map). 70 UBC Exchange/Wesbrook Mall – replaces the southern part of the C18 and C20. (map). For detailed information, scheduling and maps on these route changes, please visit the TransLink website.